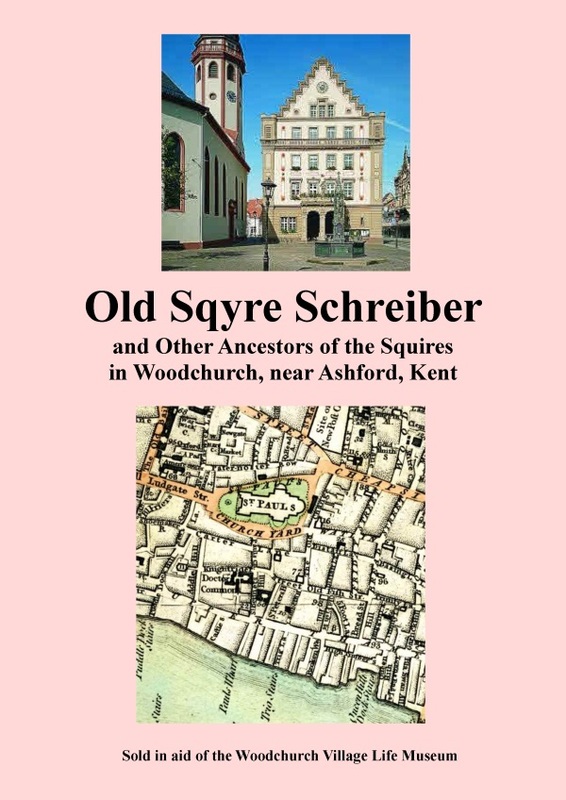 Old Sqyre Schreiber is the story of local author and historian Jon Chaplin's quest to discover more about an immigrant family from southern Germany that had a hugely beneficial influence on Woodchurch for over 150 years. Woodchurch had three 'squires' from the Schreiber family, all of whom made their home at Hengherst. The first of these was John Charles Schreiber (1782-1863). He was followed by his nephew Arthur Thomas Schreiber (1829-1902). Finally the estate passed to Arthur’s daughter, Evelyn (1875-1931), who married Captain Somerset Webb, a dashing young officer in the York and Lancs and a veteran of the Boer war. By the time the Hengherst estate was sold at auction in 1937, it covered over 2,500 acres of farmland and property in the parish. The Schreiber family, whose origin has been a particular mystery, continues to capture the interest of those who live in Woodchurch. This generously-illustrated, 63-page, A4 booklet presents the results of the author's meticulous research, mainly into John Charles Schreiber (1723-1800), the grandfather of Woodchurch's first squire of the same name. John Charles was a German citizen, who originally came to Georgian London around 1750 - a world of Hogarth and Handel - and prospered as a merchant importing furs. The book title comes from a neighbour who knew him in 1798 affectionately as 'Olde Sqyre Schreiber'. You can also buy Old Sqyre Schreiber securely using your debit or credit card via PayPal. Simply select your delivery location then click on the Buy Now button.